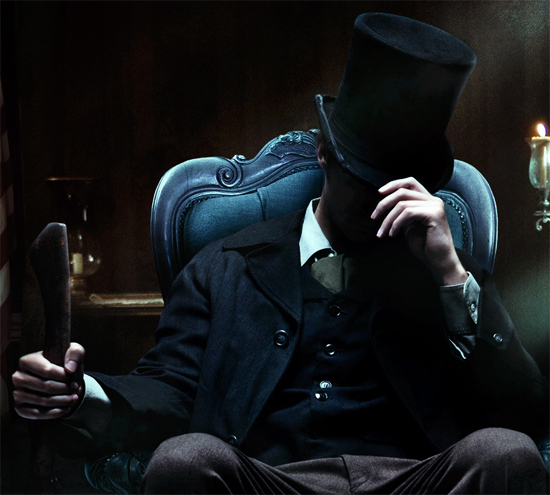 20th Century Fox Release The First Theatrical Trailer for 'ABRAHAM LINCOLN: VAMPIRE HUNTER'! Twentieth Century Fox have released the first trailer for Abraham Lincoln: Vampire Hunter. Produced by Tim Burton & directed by Timur Bekmambetov, the big screen adaptation stars Benjamin Walker, Dominic Cooper, Anthony Mackie, Mary Elizabeth Winstead, Jimmi Simpson, Robin McLeavy, Alan Tudyk & Rufus Sewell. It was adapted by Seth Grahame-Smith based on his own novel which sees the 16th President of the United States taking on bloody-thirsty vampires. The movie hits theaters June 22nd. Hit the jump for the details. Synopsis: "Abraham Lincoln: Vampire Hunter explores the secret life of our greatest President, and the untold story that shaped our nation. Visionary filmmakers Tim Burton and Timur Bekmambetov (director of Wanted) bring a fresh and visceral voice to the blood-thirsty lore of the vampire, imagining Lincoln as history’s greatest hunter of the undead." I'm reading: 20th Century Fox Release The First Theatrical Trailer for 'ABRAHAM LINCOLN: VAMPIRE HUNTER'!Tweet this!